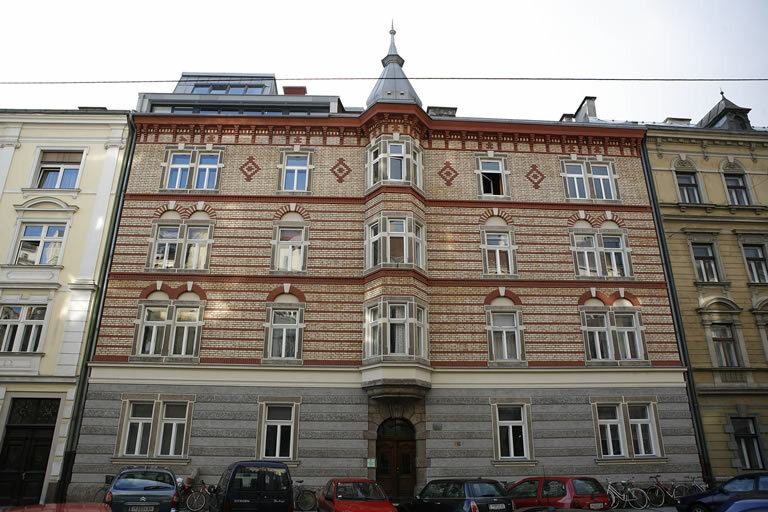 Helene Rosenstein, née Schreiber and Josef Rosenstein‘s widow, lived together with her son Fritz at 4, Schillerstraße. They were assaulted in their flat and badly maltreated; the flat was pillaged and demolished. Fritz was arrested and Helene Rosenstein was later found injured in the Reichenau, another quarter of Innsbruck. After a short stay in hospital she and her son fled to her married daughter Jenny Handel in Vienna. Jenny and her husband emigrated to Bolivia and obtained a visa for her mother, so that Helene Rosenstein could travel to Bolivia after a short stay in England. Fritz was apprehended by the SS in France but was able to escape again and live secretly in Belgium where he worked as an interpreter after the liberation through the Americans. Erich Rosenstein, the youngest son, was already able to emigrate to Palestine in 1938.